This review is posted as part of TLC‘s book tour for Lady of a Thousand Treasures. The death of a longtime client, Baron Lydney, offers an unexpected complication when Eleanor is appointed the temporary trustee of the baron’s legendary collection. She must choose whether to donate the priceless treasures to a museum or allow them to pass to the baron’s only living son, Harry–the man who broke Eleanor’s heart. With the threat of debtor’s prison closing in, Eleanor knows that donating the baron’s collection would win her favor among potential clients, saving Sheffield Brothers. But the more time she spends with Harry, the more her faith in him grows. Might Harry be worthy of his inheritance, and her heart, after all? As pressures mount and time runs out, Eleanor must decide whom she can trust–who in her life is false or true, brass or gold–and what is meant to be treasured. Sandra Byrd’s first series of historically sound Gothic romances launched with the best-selling Mist of Midnight, which earned a coveted Editor’s Choice Award from the Historical Novel Society. The second book, Bride of a Distant Isle, has been selected by Romantic Times as a Top Pick. The third in the series, A Lady in Disguise, was named by the American Library Association’s Booklist as one of the Top Ten Inspirational Fiction Books of the year. Her contemporary adult fiction debut, Let Them Eat Cake, was a Christy Award finalist, as was her first historical novel, To Die For: A Novel of Anne Boleyn. To Die For was also named a Library Journal Best Books of the Year Pick, as was The Secret Keeper: A Novel of Kateryn Parr. Victorian Ladies, a new series, offers its first title, Lady of a Thousand Treasures, in 2018. Oh my goodness did I LOVE Lady of a Thousand Treasures by Sandra Byrd. I had never heard of this author before I was asked to read and review her lovely book. I can tell you that I now may be one of Byrd’s biggest fans! I adored everything about this book: the plot is highly engaging, the pace is quick (I could not put this book down! ), the mystery kept me guessing, the characters are rich, unique, and realistic, the attention to historical detail and accuracy is flawless, and the many themes are timely. I truly loved every moment in this story. Eleanor has been surrounded by treasures her entire life, yet she feels as if she has never been a treasure to anyone. This aspect of the story absolutely broke my heart and endeared Eleanor to me in a very personal and relatable way. At one point, Eleanor reflects, “Treasures are to treasure … I am never kept. Prioritized. Valued above all. In the end, I am no one’s treasure.” Feeling as if you matter to no one is exceptionally painful. In my household growing up it was made abundantly clear that I would always play second fiddle to my younger brothers. I will not say that my parents loved my brothers more than me, but I can say, like Eleanor, I did not feel like I was a priority. Over time, this created in me a build up of resentment, anger, and envy. I did feel unnoticed and unloved. I was definitely no one’s treasure. One day, in a discussion with my step-father, we talked about my low status on the family totem pole. He acknowledged that how I felt was accurate. When I asked why he and my mother prioritized me so low, he simply stated, “Because you are self-sufficient. We don’t need to worry about you.” He proceeded to explain that my brothers were prioritized above me because they needed so much handling, they needed so much hand-holding. I’ve always found this such an interesting thing to admit to a child, but I appreciated the honesty. This conversation helped push me closer to God and His Word. If I couldn’t be a priority to my parents here on earth because my brothers needed so much attention, I knew I could be a priority to my Heavenly Father. And this is one of my biggest takeaways from Lady of a Thousand Treasures — I may not be a treasure here on earth, but to the Creator of this earth, I am fearfully and wonderfully made. I am a treasure to the only Treasure Collector who truly matters. Harry, the hero of Lady of a Thousand Treasures, hurt my heart too! It is very clear that Harry has never been the favored child in his household either. His deceased brother Arthur was the cherished son to their father, Lord Lydney. I felt really badly for Harry as he is belittled and ridiculed by his father even after his father has died. What I appreciate about Harry’s character is that he is kind, compassionate, loving, respectful, and loyal even while he is being mistreated by his father. I respect this characteristic so much. It is in my nature to want to scream at the mean people in my life. It is, unfortunately, not in my nature to want to serve and respect them. Harry’s character is a great reminder to me that I need to be more like Jesus towards those who hurt me even when I feel they deserve my scorn. As Roseanna M. White wrote in her blog recently, I need to #BeBetter! Lady of a Thousand Treasures is a phenomenal read that I highly recommend. It was a blessing to me to get to read and review such a fine, deep, and exquisite novel. If you are looking for a well-written, excellently researched, highly engaging Christian Gothic Romance then I highly suggest purchasing a copy of Lady of a Thousand Treasures today. You will not be disappointed by this story — it’s amazing! I received a review copy of this novel in eBook form from the author via NetGalley through TLC Book Tours. In no way has this influenced my review. The opinions expressed in this review are my own. Clean Wholesome Romance — $100 Giveaway — Yes, Another One!!! 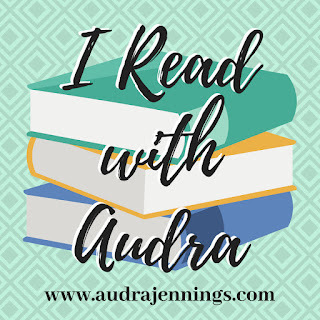 Thank you for your wonderful review on “Lady of a Thousand Treasures” by Sandra Byrd which just heightened my desire to read this book on my TBR list. Appreciate your being part of the book tour. Love the cover and can’t wait for the opportunity to read this book. Thanks so much for stopping by today, Kay! I hope you can get to this book soon. It is a great story! Thank you so, so much Nicole for this amazing review. I can’t express how grateful I am when a reader really, deeply understands what I was hoping to convey in the book, and through the characters, and you are 100% spot on. Thank you for making my day!! You said a mouthful! I loved Everything about this book. One of my top picks this year. So glad I read it! Very satisfying, good spiritual truths in this phenomenal book! One of my favorite genres. Her other books are great, too. Glad you put my thoughts into words. I love that we’re on the same page, Paula! And, I totally agree — one of the best books of the year. I can’t wait to have a little more free time so I can check out Byrd’s other books. What a lovely review! I’ll have to look this one up! You are welcome! Thank you for having me!